The Turnbull Government will deliver one of the world’s most advanced anti-submarine warfare frigates, create 4,000 Australian jobs and secure a local naval shipbuilding industry for decades to come. 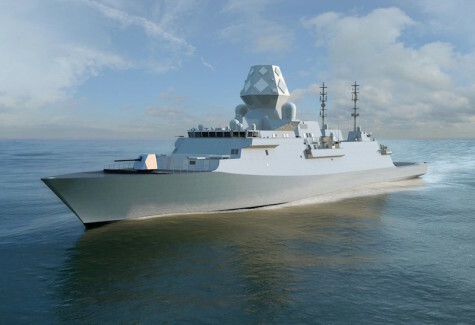 BAE’s Global Combat Ship – Australia will provide our nation with one of the most advanced anti-submarine warships in the world - a maritime combat capability that will underpin our security for decades to come. The Turnbull Government is committed to give our military the potent naval capability it needs. It provides a unique opportunity to not just strengthen, but guarantee Australia's naval shipbuilding sovereignty. Following a rigorous and comprehensive Competitive Evaluation Process, the Government has assessed BAE’s Global Combat Ship - Australia as the capability best suited for our nation. The Hunter class FFGs will be built in Australia by ASC Shipbuilding at the Osborne Naval Shipyard in South Australia. 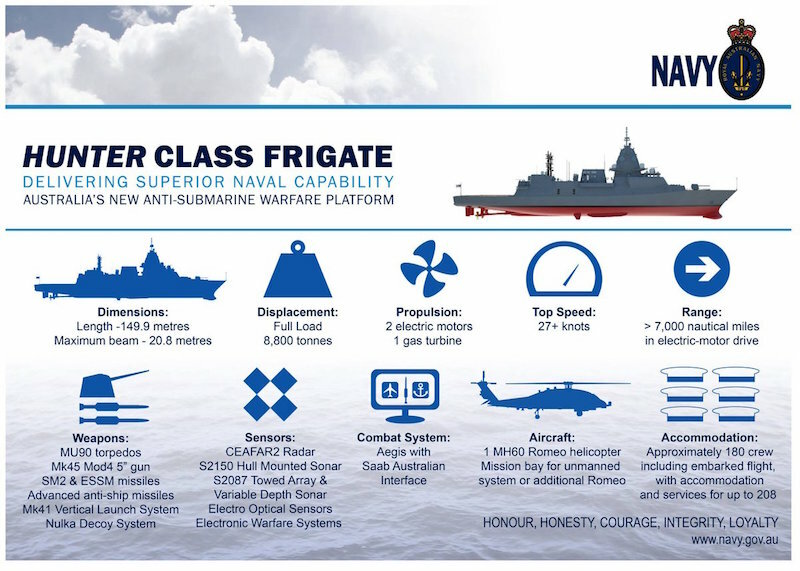 The Hunter class will provide the Australian Defence Force with the highest levels of lethality and deterrence our major surface combatants need in periods of global uncertainty. They will have the capability to conduct a variety of missions independently, or as part of a task group, with sufficient range and endurance to operate effectively throughout the region. The frigates will also have the flexibility to support non-warfare roles such as humanitarian assistance and disaster relief. Click here for a Fact Sheet (2 PDF pages) on the Hunter class, on the RAN website.